With its genuine welt construction, leather sole, and soft kidskin leather upper and lining, the quality is second to none. 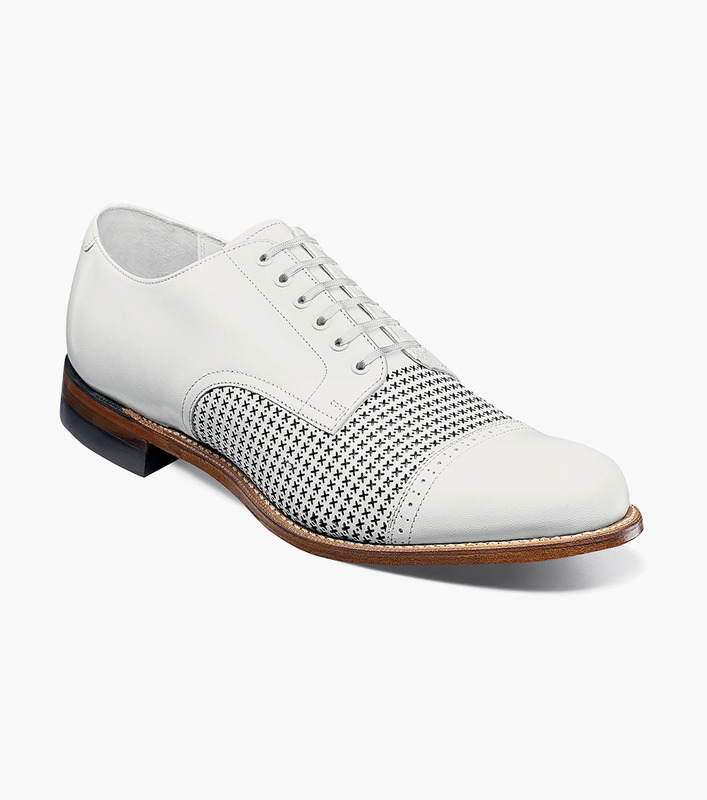 But this shoe is an attention grabber for its cap toe design and unique perf pattern on the upper. The Stacy Adams Madison Cap Toe Oxford is created for the man who looks at fashion-forward in the rearview mirror.